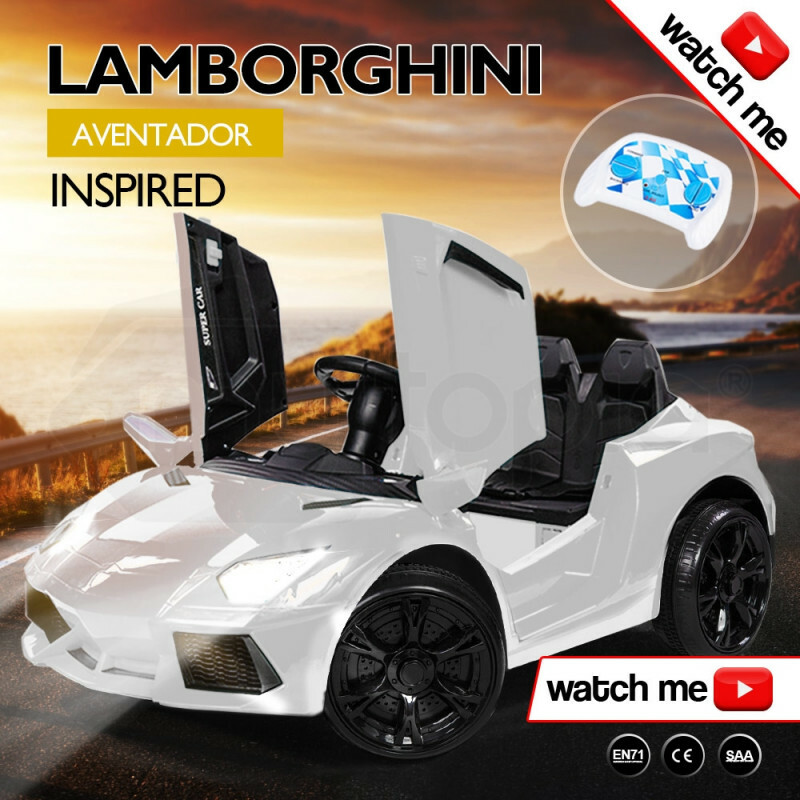 Presenting the ROVO KIDS Lamborghini Inspired Ride-On Car. 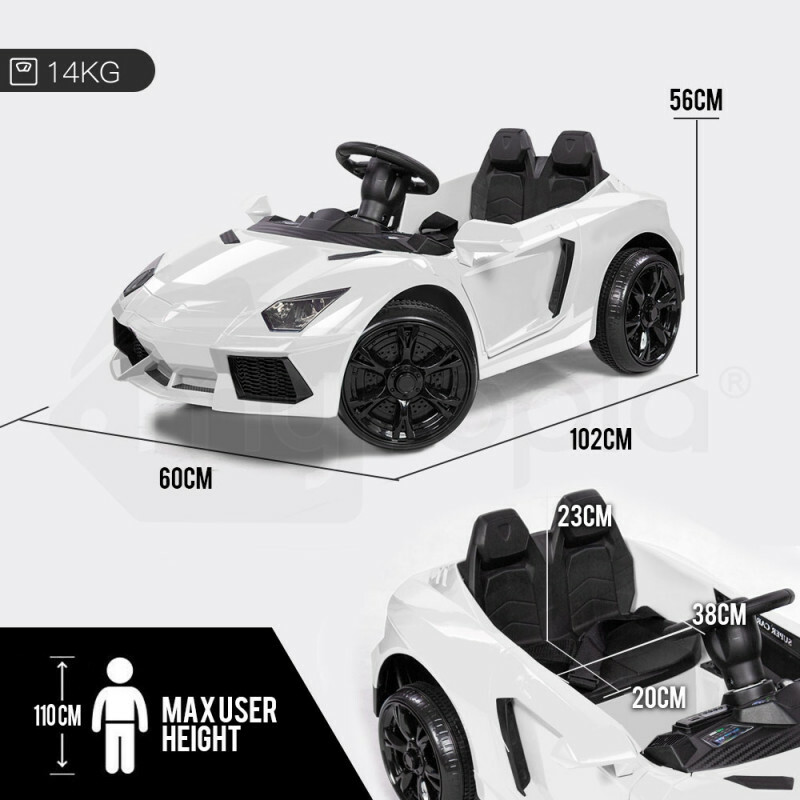 Modelled on the stylish Lamborghini sports car, imagine the look on your child’s face as they put pedal to the metal in the coolest toy on the block! 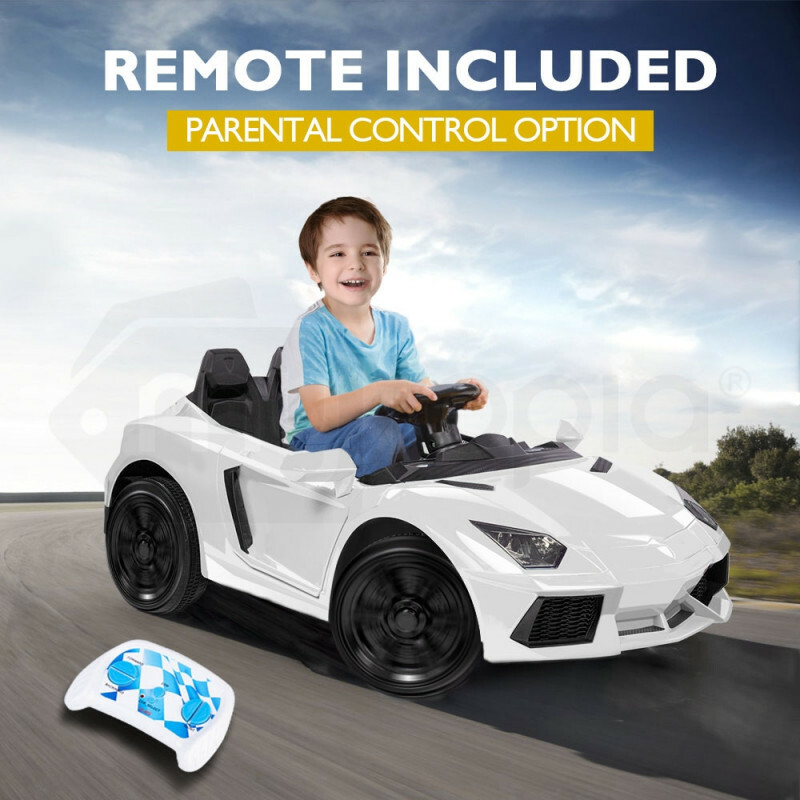 This top quality ride-on has absolutely everything a child could want, combined with optimal safety features, it includes immediate parental lockout via the remote control. 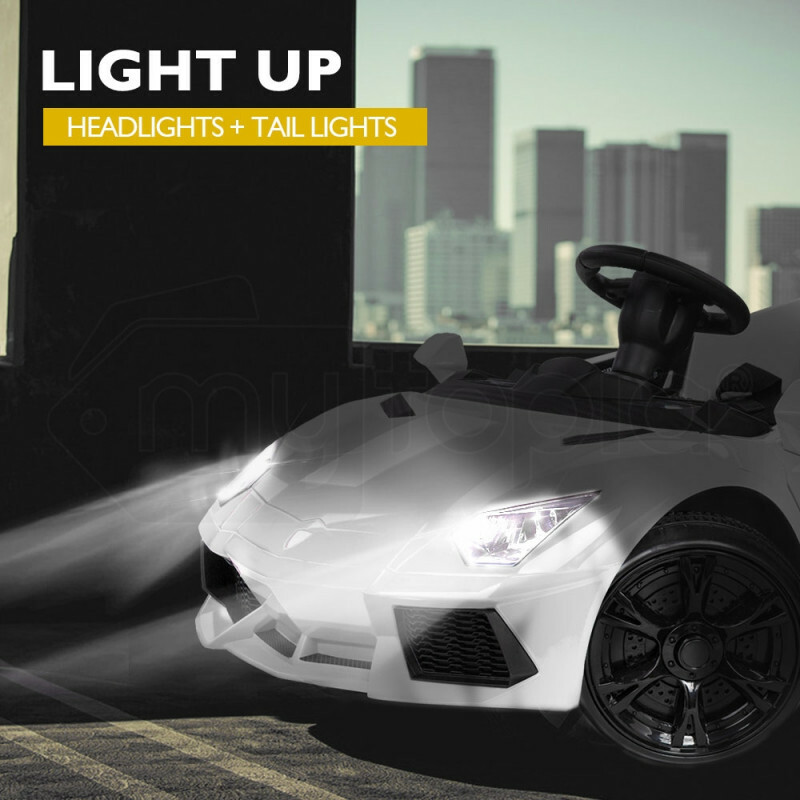 The Lamborghini boasts an incredible array of features including realistic engine sounds, horn, headlights and electronic brake. 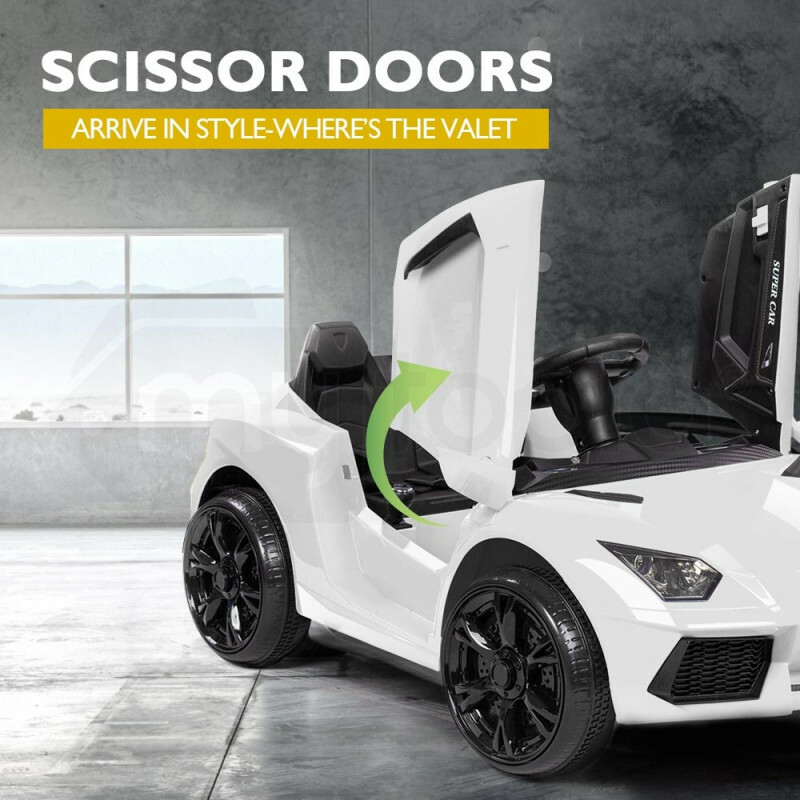 It also has 2 scissor doors that can be opened for added convenience. 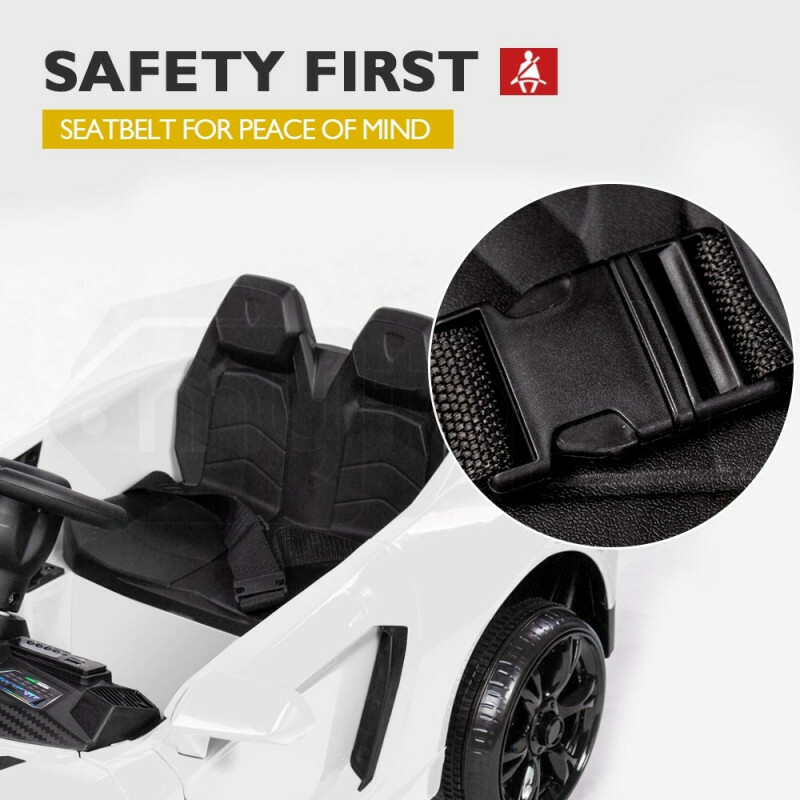 High-energy songs can be played through the built-in speakers, and your MP3 player or smartphone can be plugged in through the USB port to play your child’s favourite music. There’s also volume control if you wish to control the noise level of their play. 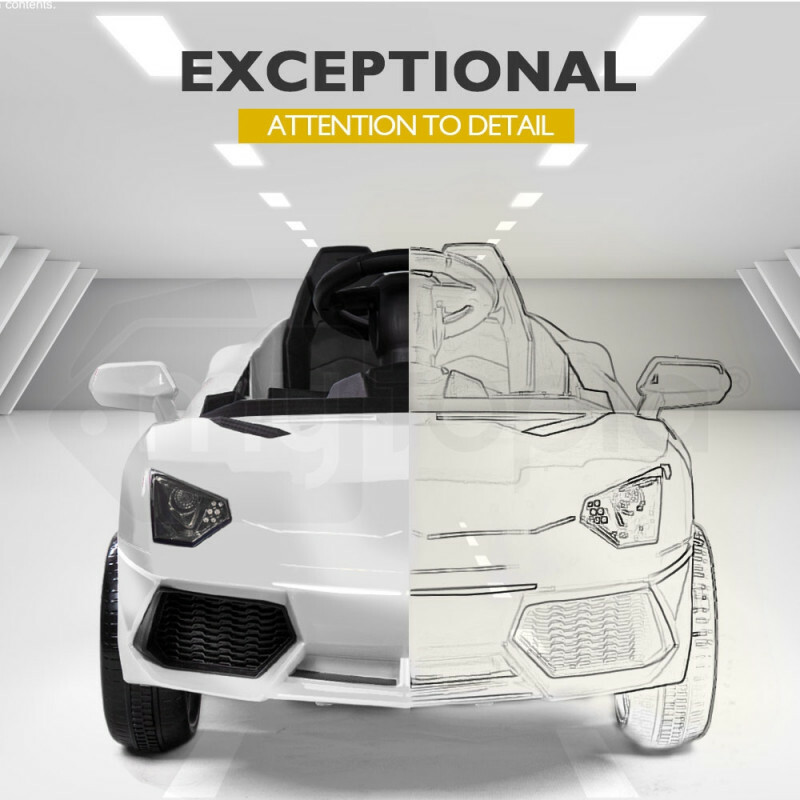 Furthermore, the electric motor powered by the integrated rechargeable battery ensures this car will deliver maximum entertainment for extra-long playdates. 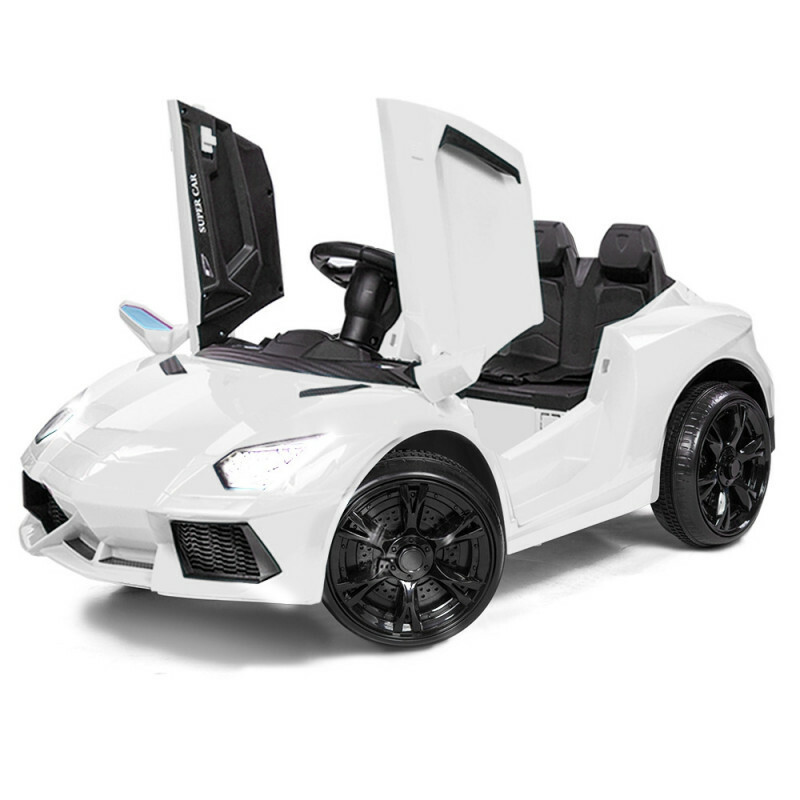 The Lamborghini Inspired Ride-On Car is a toy designed to unleash your child’s imagination and really get them into character. 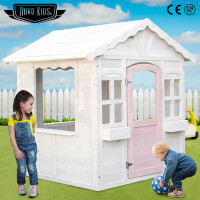 It’s sure to become their favourite toy, one they’ll be playing with for years to come. So let your kid take the driver’s seat, order your NEW Rovo Kids Lamborghini Inspired Ride-On Car today! 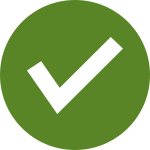 Download the manual for KIDVEHROVALBW for detailed instructions on using your product.